Research communities from different disciplines have different ambitions and approaches – particularly with respect to data organization and content but they share one common point: they all have basic data service requirements. EUDAT has a dedicated support helpdesk for all its services. 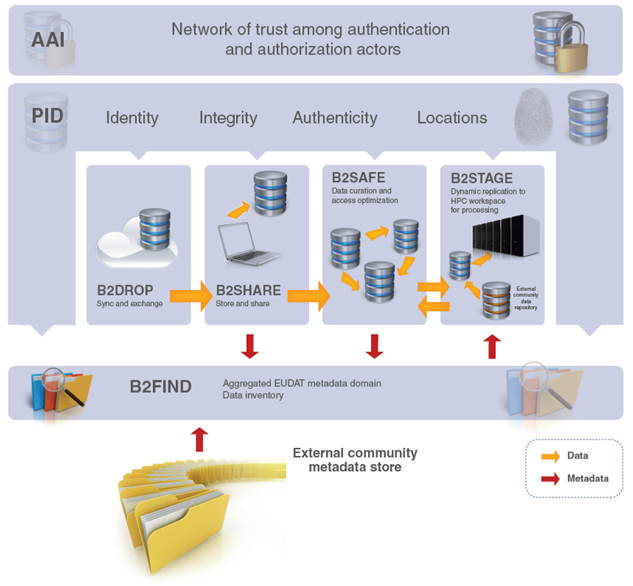 In addition a number of enabling services have been implemented such as a service to register and resolve persistent identifiers and methods for authentication and authorization in distributed infrastructures. EUDAT is also working on B2NOTE offering semantic referencing and annotation which will be made available in due course. Read the complete EUDAT Service Roadmap for more details.